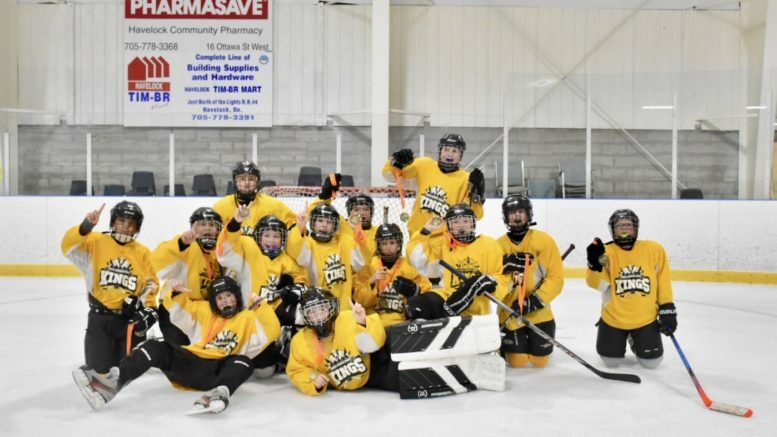 Fresh off their 2018 Havelock Hawks minor hockey tournament win earlier this month, the Prince Edward Pee Wee Local League Kinsmen Kings are looking for an assist from the community. The Kings are conducting a used goods drive over the next two weekends to help fund their entry into the Orillia Terriers Family Day Hockey Festival in Feb. 2019. Through Value Village’s FUNDrive, the Kings will be accepting used items such as clothing, shoes, electrical items, toys and games, kitchen items, knick-kancks, cds, dvds, books and sporting goods. The drop off locations are the Wellington and Picton Arena parking lots. The Kings will also be accepting goods on Saturday, Dec. 1 from 9:30 a.m. To 12:30 p.m. At the Huff Estates Arena.